Taken with Olympus E500 digital camera on July 30th 2007. Click image for larger view. Last night I was out on the beach late at night taking pictures of the sunset. 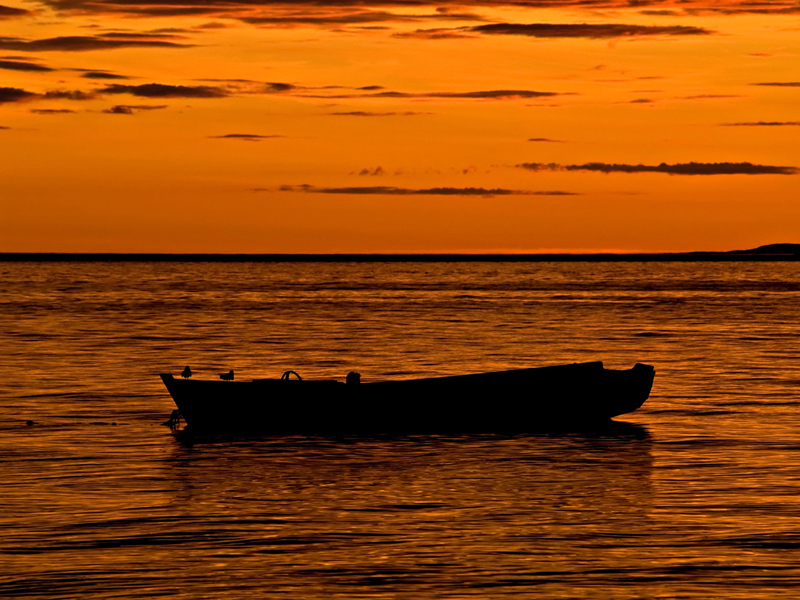 A tern couple landed on this old rowboat so had to take a picture of it against the beautiful sunset. Follow Photos from Northern Norway on Facebook and see other sunset picture here. Beautiful color, and I love the contrast between the black and the orange. Wow! Almost too beautiful to be real. Great pic. Now this one makes a great wallpaper dude! Great photo and an interesting blog! I never seen a sky color like that. Pretty amazing view.